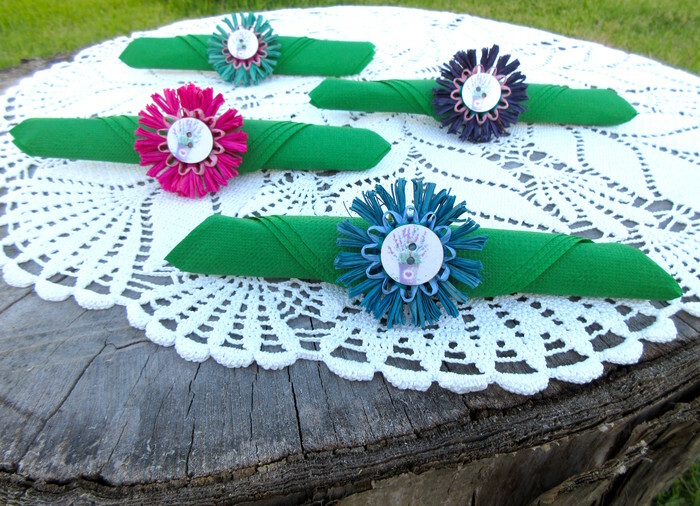 Perfect table decor for a rustic garden party/birthday party. Could be a cute accent for your cottage & country kitchen and dining room table. 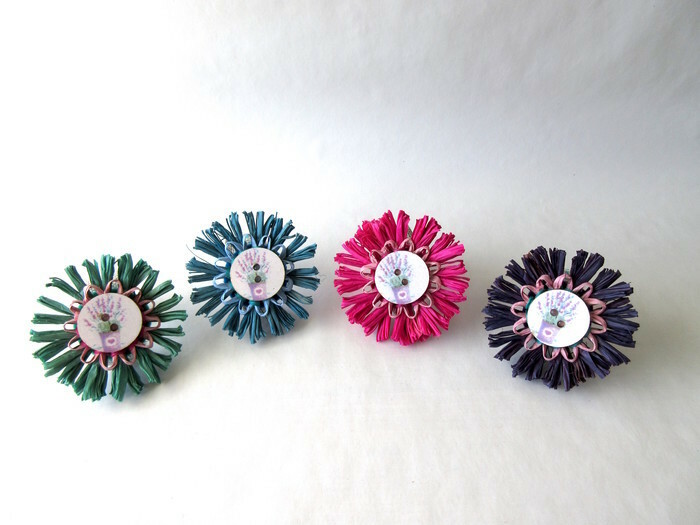 These napkin rings can be used for any occasion as well as for every day enjoyment. Add your table special look every day! 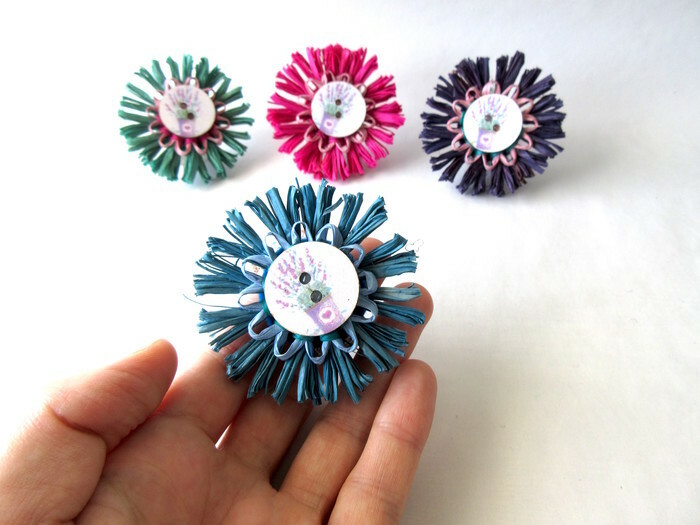 Each flower is handcrafted, the backs are secured by stitching, glue and a piece of wool felt. 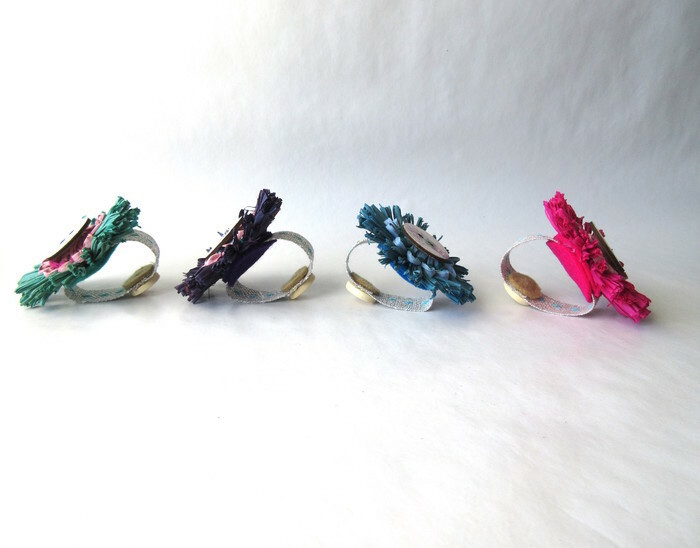 The flower is attached to a natural style ribbon which forms the ring. 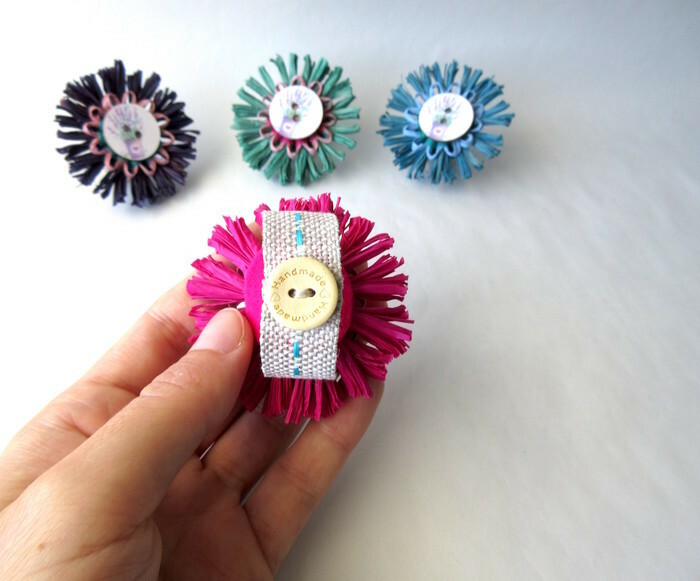 Each ring is decorated with a wooden button on the back, secured by stitching, glue and a piece of wool felt. 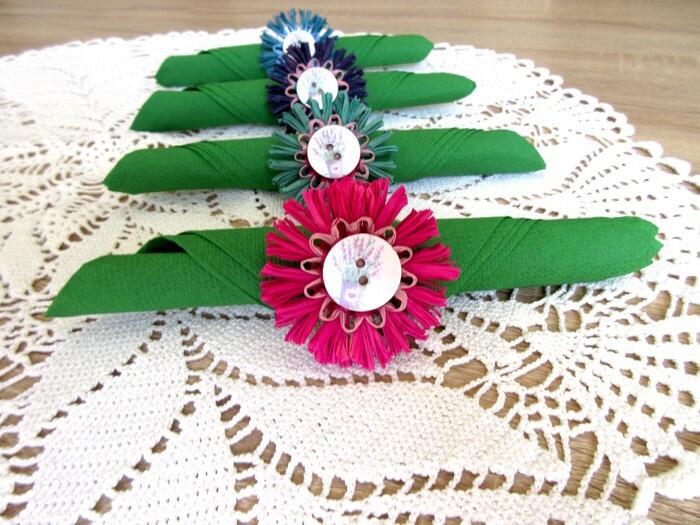 Rings are without napkins/crochet tablecloth. These are used for illustration purposes only. coloured raffia (premium Madagascan raffia), paper raffia (100% paper - wooden cellulose), paper twine (100% cellulose), decorative wooden buttons, a natural style ribbon, 100% Merino wool felt, glue, embroidery twine. INTERNATIONAL SHIPPING AVAILABLE to selected countries (please see my Store Policies). Please contact me for a quote prior to purchase. Copyright © 2016-2019 M Decor Botanica. All rights reserved.